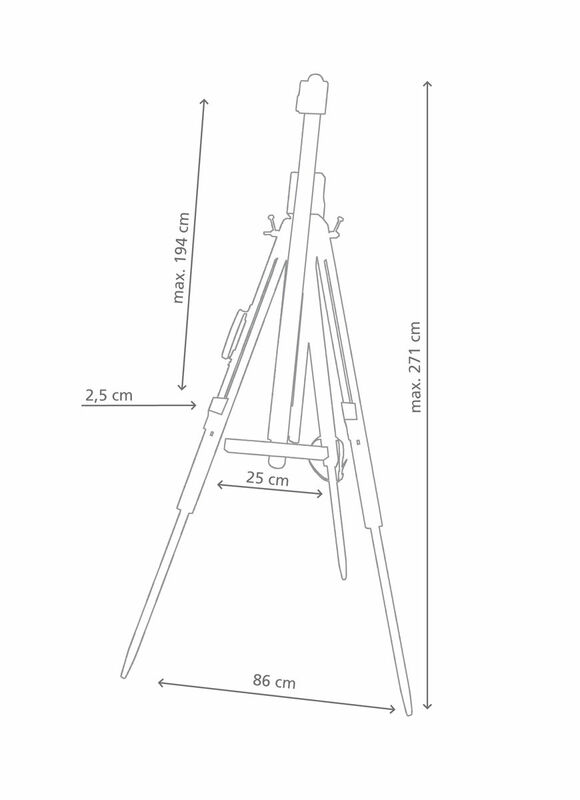 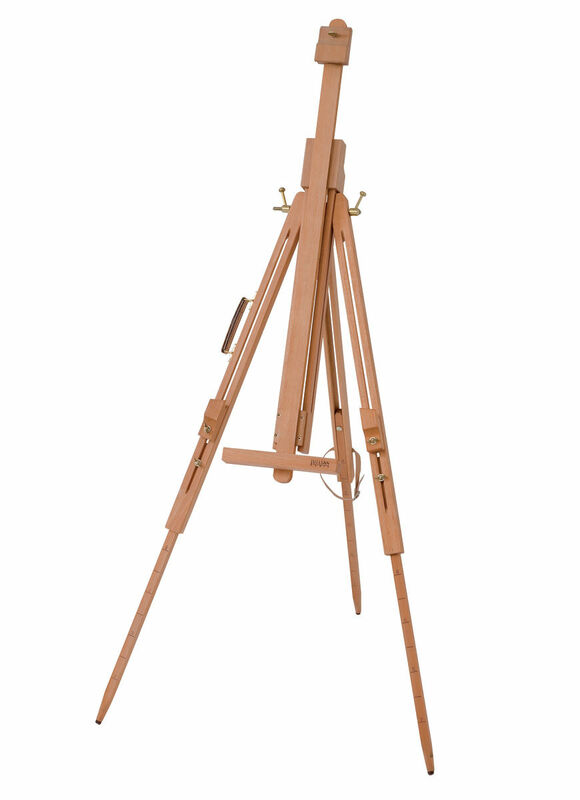 A large sized field easel, for oil or water-colour painting. 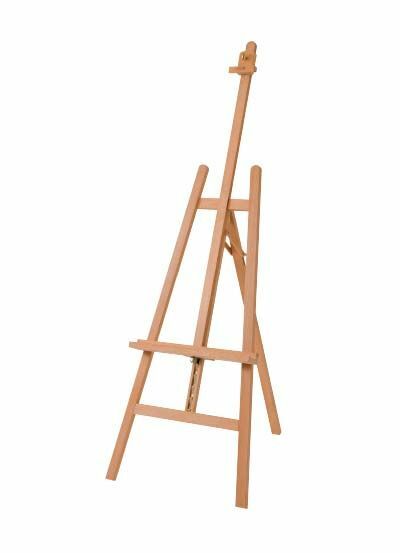 Its tall size accepts canvasses up to 194 cm high, and offers comfort for either indoor or outdoor painting. 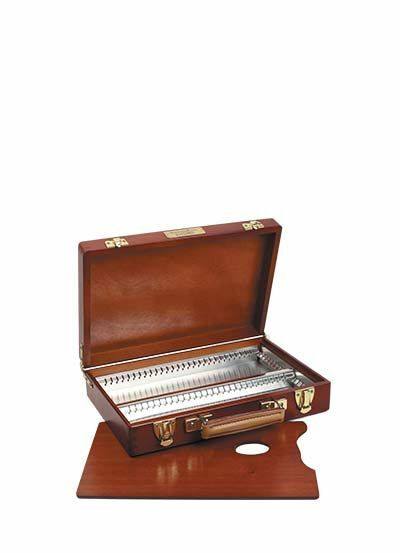 Made of oiled premium quality beech wood with brass plated adjustable parts and fastening leather strap, it is easily foldable and transportable thanks to the leather handle fixed on the left leg. 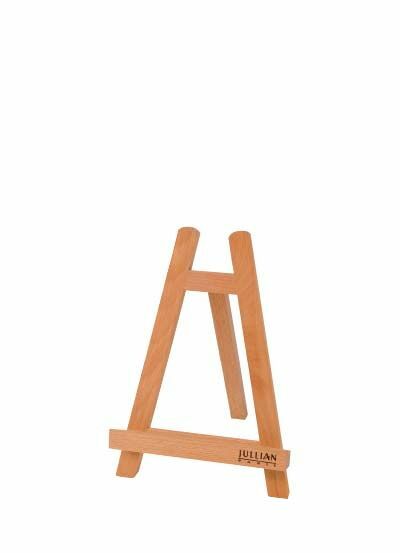 Supplied with a Jullian shoulder bag.